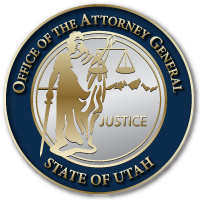 SALT LAKE CITY October 17, 2016 – Utah Attorney General Sean D. Reyes announced today that the Office of the Attorney General has received reports of Utahns receiving fraudulent, unsolicited phone calls from aggressive individuals claiming to be IRS officials collecting back taxes. The fraudulent callers are spoofing the Utah Office of the Treasurer’s phone number (801-538-1042) to gain credibility. The Office of Utah State Treasurer does not collect taxes (federal, state or otherwise). The fraudulent callers demand the victim immediately pay a bogus tax bill via credit card, pre-loaded debit card or wire transfer. If the victim does not cooperate, they are intimidated with threats of arrest, deportation or other harmful measures. Stay alert to scams using the IRS as a lure. Tax scams can happen any time of year, not only at tax time. For more information visit “Tax Scams and Consumer Alerts” on IRS.gov. Please also feel free to contact the Attorney General’s Office at 1-800-244-4636 or at https://attorneygeneral.utah.gov/contact-us. This entry was posted in Archived Posts, Recent Posts and tagged Fraud, scams, Utah State Treasurer on June 27, 2018 .